Works well. Most lanyards are too small to pull over your head while wearing a ball cap. This lanyard easily fits while wearing a hat. The call holders are well placed and are a good length. 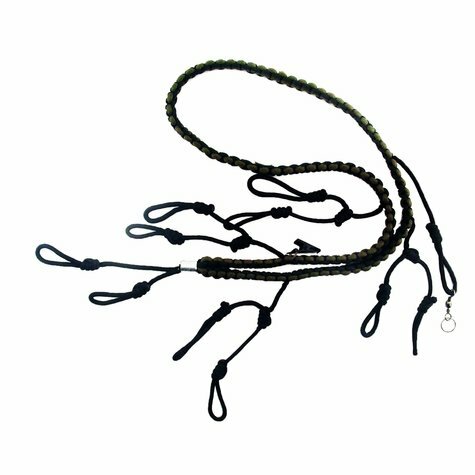 The Primos 5 Call Lanyard holds 5 calls and has 1 split ring. It's comfortable and heavy duty.